We are one of the Clairemont movers that take moving seriously. From packing to delivery day, we follow a strict timeline that our customers help create because it’s not about you moving things around in your schedule, it’s about us shifting our schedules around. Our staff will assist you with thorough pre-planning and insightful relocation recommendations. Best Fit Movers Moving & Storage strives to provide answers to all of your questions because we are a reliable Clairemont moving company. Trust your Clairemont mover with your most valuable possessions, including fine china. If you don’t want to move everything into your new home all at once, we can also provide storage solutions. 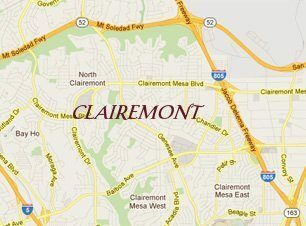 Your Clairemont movers will pack, transport, unload and provide debris removal at your new home. Clairemont Packers and Movers. As a professional full-service moving company, we offer complete packing services for furniture, delicates and more. Choose one of the best Clairemont movers today by contacting a friendly representative at Best Fit Movers Moving & Storage. You can also submit a quote form on our website for a free in-home or in-office estimate. You will be able to see if we have come within your budget for your moving and storage solutions.